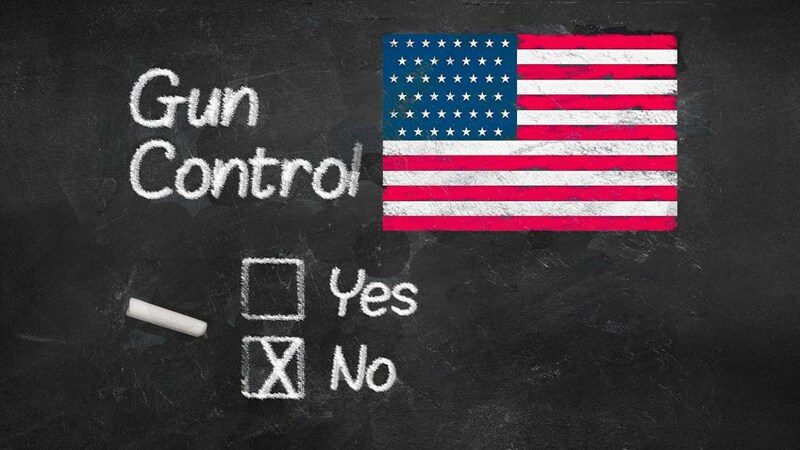 Is Gun Control on the Horizon? The incoming Democrat-controlled House has vowed to prioritize gun control for the coming session of Congress. Up first will be a universal background check bill. Rep. Mike Thompson (D-CA) will introduce the bill. He co-authored a universal background check law in 2015. Those outspoken on the issue say they have bipartisan support. Most politicians and journalists falsely report or grossly misstate the legality of purchasing a firearm at a gun show. The phrase “gun show loophole” is made up. There is no such thing. Any dealer or manufacturer of firearms must get a Federal Firearms License (FFL) from the government to enable them to sell firearms legally. A dealer is described as someone who is “engaged in the business of importing, manufacturing or dealing” firearms in order to make a profit. Even if you buy and sell guns on a part time basis, you are still considered a dealer if you profit from it. Occasionally selling a firearm, even an entire collection, does not make you a dealer. There is no hard and fast rule defining the number of firearms sold that would require you to become a dealer, however if you repeatedly sell firearms for profit, you should get an FFL. Online dealers must also have an FFL. If you are a dealer selling at a gun show, you must have an FFL. An individual who wants to sell a firearm to another individual can do so without needing to hold a license or conducting a background check. This is completely legal. Mother Jones sites a study done by the Annals of Internal Medicine in 2017 found that 22% of gun owners had gotten a gun without a background check between the years 2015-2017. Responsible gun owners don’t sell firearms to someone they believe is a criminal, selling or giving to a criminal or other any prohibited person. And in fact, it is illegal. More than ½ of criminals convicted of gun crimes report that the gun they used was purchased illegally. Forcing universal background checks wouldn’t change this fact. It’s hard to say whether a universal background check would do anything to prevent mass shootings because 82% of guns used in mass shootings were purchased legally—even if that person should technically have been flagged. Federal law prohibits felons, users or addicts of controlled substances, declared by court mentally defective, been involuntarily committed to a mental institution, illegal aliens, service members who were dishonorably discharged and those convicted of misdemeanor domestic violence. There is no federal law requiring states to submit these records to the FBI to be entered into the National Instant Criminal Background Check System (NICS) and only half of the states have enacted laws requiring the submission of mental health records to NICS. The bill is still being discussed and details haven’t been published yet. It is unknown whether friends and family could transfer firearms back and forth without a background check. Would inheritance and gifts be exempt? We don’t know. Many reports state that most Americans support universal background checks, but GunLove is doubtful about the validity of said reports. It is believed that a universal background check law wouldn’t pass the Republican-dominated Senate. However, it will not stop gun rights’ biggest opponents from trying. President Trump has expressed support for universal background checks in the past but has since revoked his statements. There is no telling what he would support after requesting the ATF change the ruling on bump stocks. What type of impact do you think the newly Democratic majority House will have on Second Amendment and gun rights? Tell us in the comment section. Gun-Related Deaths Reach Highest Peak…Or Have They?